Flubenvet 1% Medicated Premixture is an in-feed wormer for poultry. 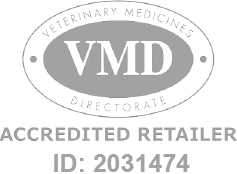 Flubenvet 1% Medicated Premixture is a Prescription Only Veterinary Medicine and by law requires a prescription from your vet. In-feed poultry wormer effective against gapeworm, large roundworm, caecal worm, hairworm and gizzard worm in chickens, turkeys & geese.